Online pre-registration for TCWF2017 is open! Our online registration option is now open! Go to THIS LINK at the AAYC website and choose the pay by PayPal option to pre-register for the conference. After April 16, the cost for the conference goes up to $60, so don’t delay! 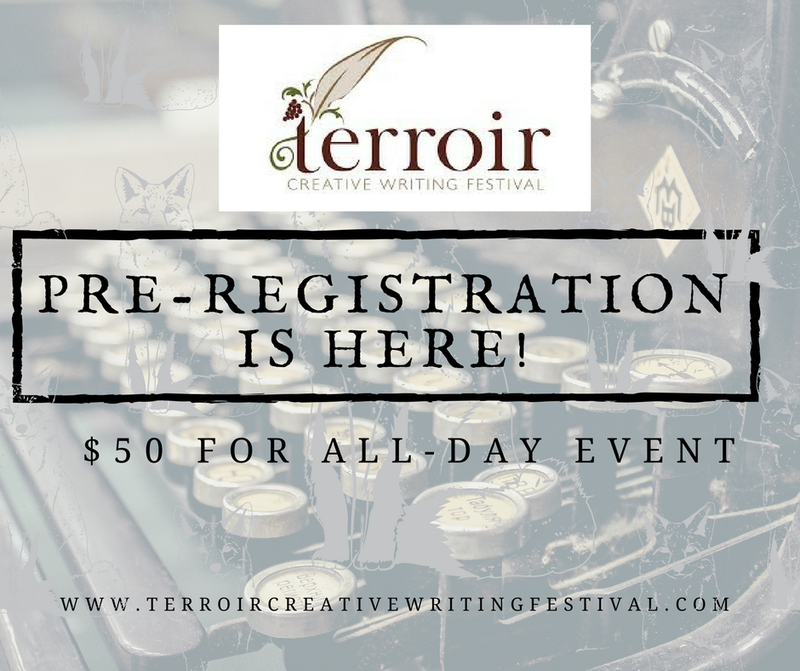 Pre-register for the 2017 Terroir Creative Writing Festival. ← Announcing our 2017 speaker list!